I’ve been on a bit of an airship kick lately. 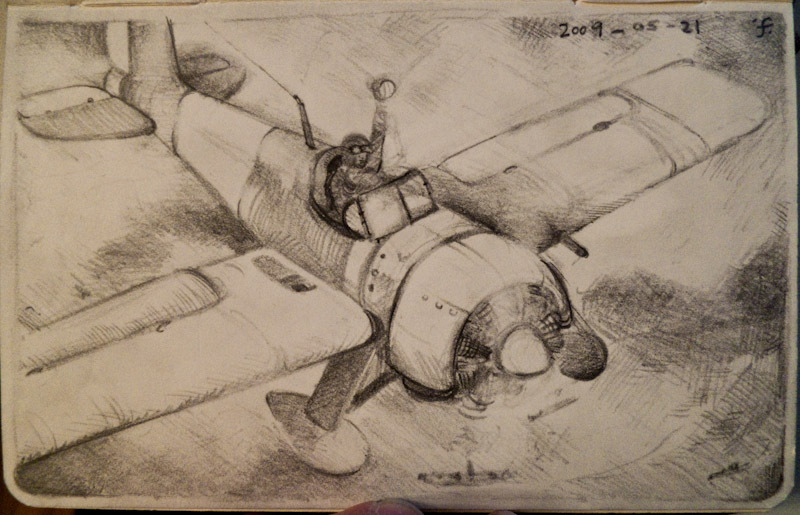 Or perhaps, an early 1930s aeronautical sketching streak. There’s something about that time which stokes my imagination and these recent efforts serve, more or less, as a self-tutorial in the aesthetics of the period. Richard K. Smith’s The Airships Akron and Macon arrived on Monday. The book is a fascinating read and an incredible treat for the eyes. Smith must have gone to some astounding lengths to collect and distill the information he provides in his book — I’m continually astonished at his insights into the design of the airships as well as the political issues which surrounded their construction and employment. More on that in future posts, perhaps. 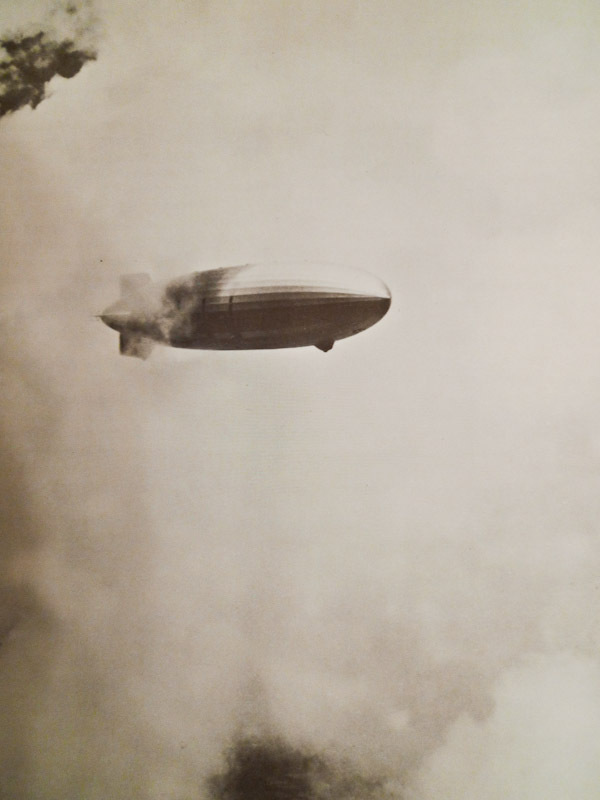 I’ll close this with a poor copy of one of the most beautiful, poignant photographs contained in Smith’s book: the USS Akron (ZRS-4) emerging from a bank of clouds. As you look at it, just imagine the smell of rain in the air, and the music of her engines against the wind in the distance. › Next Post More Coffee, Coffee Cat?